HOW I GOT THIS BOOK: I thank Debdatta Sahay of b00kr3vi3ws for this review copy. 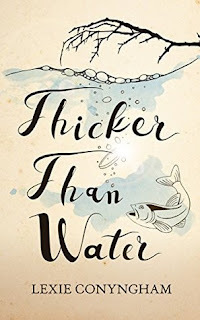 When young Walter finds a dead body along with the dead fish in his tutor’s fishpond, he knows he should tell his old master, Charles Murray of Letho. The dead man leaves a pretty wife and child and a broken string quartet, but someone must have profited by his death – could it be the avenger from his past as his widow fears, or is it someone from closer at hand? St. Andrews is once again the setting for a murder mystery, and a puzzle that Murray must solve before the murderer strikes again. There are only two words in the summary that gave me a clue about this being a sequel or part of a series. Other than that 'once again', the summary is by itself interesting and has good detailing in a few short words. It was intriguing enough to make me want to pick the book up, especially since it belongs to my favorite genre. The cover was simple, and had nothing that jumped out. But it fit the mood well. I had no previous idea about the author or her writing style, this being the first book of hers that I would be reading. It helps to have information beforehand about whether or not a book is part of a series. The rising confusion about the characters and their familiarity would remain unresolved if this detail is not known. The series books do not spend much time reintroducing the familiar characters, but for someone who tries to pick up the threads from the middle, this might create confusion that will hamper the reading speed. This is perhaps why this book looked like it began slowly, for me at least. The characters seemed to be quickly 'introduced' in the first few pages, with too many of them crowding the little space. I had to keep rereading to know who was who. A careful analysis was required to understand that they had all been introduced in some of the previous books and were as much a part of the series as the main character was. After that realisation, the reading speed picked up. The glossary and the characters list helped much in this regard. Special thanks for that. The book can be read as a standalone and is a good thriller set in previous century. Be it in the language or the setting, once we grasp them the story flows smoothly. The story is pretty simple. A dead body is found in a pond by one of Murray's servants. The mystery has to be solved before further mishaps happen. Once I could keep the characters and their associations straight, the book flowed smoothly. The twists and turns kept coming at an even pace and I was able to enjoy the read though I had not read any books in this series previously. The twists weren't too surprising or too predictable. And the plot was tight and created enough interest to keep me going. Murray as a 'detective' did not impress me much, but I am sure I would read a few more books of this series to follow his style in other cases. The language was not exactly what I'd call lucid or easy, mainly because the cross century references (which maybe authentic at that setting) but the plot was good. The supporting characters did not stand in my mind but the descriptions and development were on point. Overall this is a story I enjoyed reading. I only wish I'd known about this being the tenth book in a series before - that would have made my experience much better and reduced the 'complaints' I have with this. The decent twists and even pace made this an enjoyable read. The summary was intriguing and the cover simplistic and to the point. Good read, overall. Began slowly but once the pace picked up, a decent thriller. Author of the Murray of Letho and Hippolyta Napier series of historical crime novels, Lexie lives in North-East Scotland and after some years of trying the traditional methods (with absolute and complete lack of success) she was persuaded to test her limited technical skills with e-books. When she isn't writing (that would be Sundays) she teaches, knits, gardens, drinks wine or whisky, and sits looking thoughtful while random facts wander around her head. HOW I GOT THIS BOOK: Got the book from Amazon Kindle. Thanks to the author for the link on a timely note! Dan Tollinger is having a bad Christmas. He lost his wife to terminal illness and his boys are behaving badly. He's at his shopping center all day, how can he manage them when he can't find the time? Tonya needs premises to run her business after her bakery got damaged in a fire. With a son to bring up on her own, the sensible option is to accept Dan’s job offer to housekeep while putting her business back on the track. But will this job be so easy? Dan is brusque and to the point, while his boys don't listen at all! Heart warming, family oriented romance with a bit of sensuality on the side. When the author pinged me for a review of this book, I was intrigued by the title. The cover picture looked generic and contributed to the mood of the story. The summary was short and to the point. It put forth all the major plot points that would need to be focused on. There was more promise in the phrase 'family oriented'. Romance has never been my favorite genre despite the fact that I enjoy well written romances occasionally. This book was a welcome break from a string of thrillers I was reading. First things first. The book is surely an engaging read - I nearly finished it in one sitting. It was not a heavy read by any means but had its fair share of emotions. 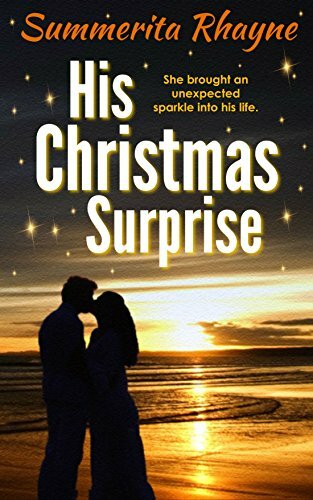 The story of Dan Tollinger, a recent widower who is having an altogether bad christmas after losing a wife and not being able to get emotionally closer to his kids, collides with that of Tonya Sanders, a widowed single mother of a son. A close friend gives her a business option - to work in her brother-in-law's house and for exchange get her bakery business on track. That is two birds in one stone and Tonya agrees reluctantly on her friend Myra's insistence. When she meets Dan, who is brusque to the point of being rude, she is unable to keep her relationship completely professional because of the surge of love she feels for him. He looks willing to reciprocate but neither of them want to complicate what they share professionally. But attraction holds primary, with the promise of a 'forever and after' being impossible because of Dan's emotional unavailability. What follows next forms the story. The book stays true to its genre. It is a romance book, and the overdose of intimacy was understandable. The sensual parts were a bit on the excessive side for my taste but they did not feel unnecessary or forced. The lead characters both failed to evoke any sort of sympathy from me because of different reasons. The story progressed quickly, with the emotions and the romance interwoven with various threads. The mind vs heart conflicts were brought out well. Even though Dan Tollinger was not one of my favorite protagonists (his treatment of every other character seemed unfair at a point before some sort of redemption happened), I could understand how the emotional distances are never because of one loss but a series of heavy hits since childhood. The book won brownie points by dealing with a serious issue and unraveling the underlying psychology of human behaviour. Tonya as a lead worked well for me in the way she faced her confused attraction and apprehensions. 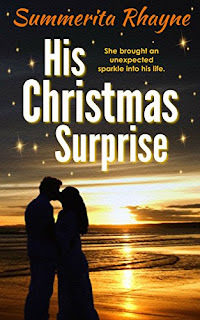 Even when she frustrated readers by being unable to refuse Dan's requests despite not breaking through the emotional wall he had erected, there was a poise in the way she carried herself in the later part of the book. The supporting characters including Jay and Myra did their roles perfectly. The character shift of the kids, though hurried, worked in bringing the book to a packaged climax. The book had enough twists to keep the readers engaged and the author has managed to tie up all the loose ends perfectly. The correlation between different events was beautifully done. There were a few glaring typos and subsequent grammar errors (not mentioning the parts where the characters are actually slurring - that was good) but they did not affect the reading experience much. Overall, a romance novel with a sensual overdose that could have done more with the various tangents it started off on. But the final product was an interesting read. No unnecessary drags or delays or drama. A well written romance novel bordering on the sensual, but with a family twist. Definitely an engaging read.